While there are many ways to turn incremental advantages into winning positions in Hannibal: Rome vs. Carthage (HRC) some of the more dramatic occur during small scale struggles to control a single province. However, deciding on just which province to flip is something of a problem. Basically, players should view the situation through three layers of analysis before determining their target: the strategic, the operational and the tactical. First, players should check the strategic situation. That is, where is each side’s main army? 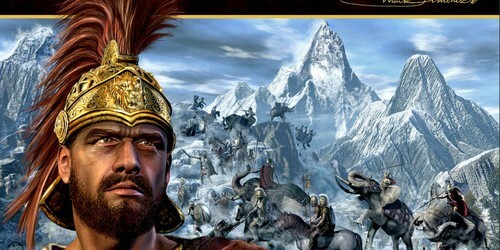 Is Hannibal in northern Italy and is Scipio Africanus in Spain or North Africa? Then players need to decide if they will attempt to attack this main army head on or if they would rather use an oblique approach and “hit them where they ain’t.” For example, working Hannibal out of Fortress Cisalpine Gaul is a difficult but possibly a war winning strategy. It does, though, require the complete resources of the Roman Republic for most of a turn late in the game. 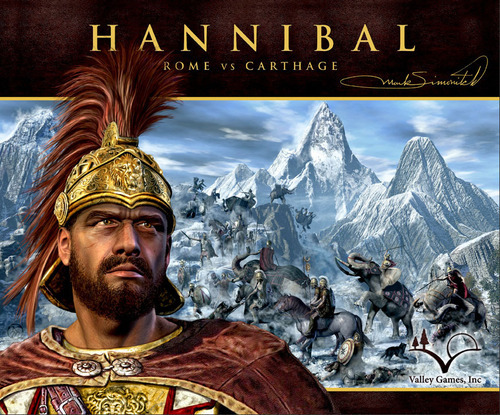 Basically there are two methods to accomplish this: by repeatedly involving Hannibal in low odds battles (say battles where the Roman Republic has a 35 percent or better chance of winning) and then depending on the attrition die rolls to whittle down the Carthaginian army to such an extent that even if Hannibal does survive he will be so weakened that the Carthaginians voluntarily re-cross the Alps. Or, if Hannibal is too strong in Cisalpine Gaul to attack directly then the Carthaginians might just be too weak in Hispania or North Africa to defend them adequately. Obviously, attacking Hispania can in itself draw Hannibal out of his Cisalpine Gaul redoubt in order to rescue the two or three provinces that may fall to the forces of the Old Republic. Unfortunately such a strategy will usually take two full consular armies and early in the game that leaves much of the Roman world undefended. As for the Roman Republic, its main strategic problem early on is that it has only three field armies but four areas of responsibility. Namely, it has to defend northern Italy, southern Italy, Sicilia and Sardinia, so at least one critical area simply can’t be easily defended. Second, players should check the operational factors of the region in question: specifically, players must take into account the physical landscape involved, such as the mountain ranges, straits and especially the particular political situation surrounding a battle space. Because if a battlefield is surrounded by countryside friendly to the attacker or if an enemy army is backed up against a physical boundary, any loss could result in its elimination. In cases like these a player might consider attacking even if he has a less than a 50 percent chance of victory as he is risking little and the defender is risking much. Players should also check the general political situation. Including the number of allies your opponent will recruit and the number of PC (political control) markers each side possesses over and above those needed to control politically important provinces. This last factor is particularly important as it is a measure of how much stress a side can absorb. In addition, if Hispania is the region under consideration, Rome would be well advised to consider first invading Gallia Transalpinia. While this region was not politically important at this time, controlling it does confer advantages: it produces local allies if a battle is fought there, it’s a place to “store” surplus Political Control markers needed to absorb future political loses and it’s a good jumping off point for an invasion of Hispania. 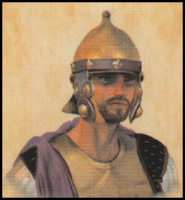 For, if the Hispania invasion goes badly, a retreat into Gallia Transalpinia by the survivors instantly generates 2 additional allied combat units for Rome when both provinces there are friendly and it instantly decreases their pursuer’s numbers by the 4 Spanish allies Carthage has to leave behind. 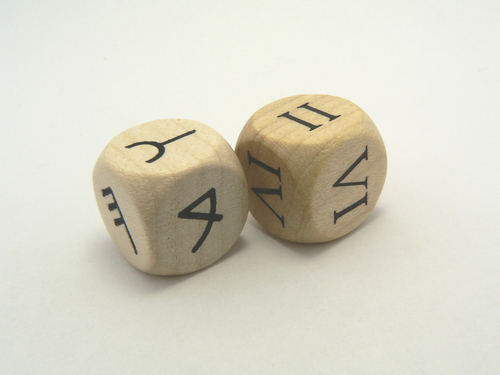 Roman and Punic numbered dice in Hannibal: Rome vs Carthage (Second Edition). Third, it is only at this final layer of analysis that players should turn to the actual tactical situation. That is, it is only after a province has been picked for operational and strategic reason that the relative size of the forces involved should be considered, along with the strategic and battle ratings of the generals concerned and how easily each side might draw in reinforcements. Now, not all battles will meet all three factors, but it is a fair estimate that a majority of the tactically important ones will. A. Under normal conditions there will be a guard army in Hispania, north Africa, northern Italy and Sicily. So players will in all likelihood have to fight a large army before taking control of an opponent’s province. This in itself should not discourage a player. Sometimes there is also a guard army in Sardinia. But that is a special case as that island has been known to be a trap for its defenders as well as its attackers. First, it’s hard to get there and then it’s hard get out. Plus any army defeated on the island risks eliminated. It’s fair to say that caution is always called for when campaigning on Sardinia. B. Next, players should check the battle ratings of the opposing generals, as this is normally THE critical factor in estimating how well the battle will go.
. On the tactical level, however, a battle is judged by more than who has the better general and what the terrain looks like. In other words, it’s now time to take into account the relative size of the armies involved and who is attacking. In order to convert these general considerations into winning and losing percentages its best to check the matrix Brandon Einhorn has posted to Grognard.com. When that is impracticable it is possible to use an equivalent rule of thumb system. Basically, total up the number of cards in each players hand and subtract the smaller from the larger number, then convert this number into percentages at an 8 to 1 ratio. (e.g., 2 extra cards are worth 16%). Next, give the first attacker 4% and Hannibal 8% for his special abilities. And lastly add these percentages to a base of 50%. The final figure is the attacker’s chances of victory in a fair fight to within 5 or 6 percent. Now, normally, I need something around a 60 percent chance of victory before committing to combat, unless there were special circumstances, but that’s really up to each player. So in a typical battle of, say, Nero attacking with an army of 6 CU against Hasdrubal with an army of 2 CU defending in Hispania, the battle hand size would be Nero, a 2 battle rating, plus a 6 CU army for a total of 8 cards against Hasdrubal, with a 3 battle rating, plus 2 combat units plus 4 allies or 9 cards. The final total being -8% (in Hasdrubal’s favor) due to the card situation, but + 4% to Nero for attacking = a total of -4% (i.e., in Hasdrubal’s favor) plus 50% for the base figure or a 46% chance of Nero winning. How accurate is our system? Well, taking Brandon Einhorn’s approach as an accurate representative of the facts on the ground this basic version should provide players with a rough and ready percentage in any battle involving more than a few cards per side. In this particular case Einhorn generates a 40% chance of winning. So we were off by 6% (but see below). So, for example, if a player attacks, in Sardinia, with a 3 BR general, 5 CU and one ally against an equally good 3 battle rated general and 4 CU. That would be a 2 card advantage to the attacker or +16% plus a 4% edge for attacking first plus a 50% base figure or a 70 percent chance of the attacker winning. The charts Brandon Einhorn on Grognard.com produced say he has a 73 percent chance of winning. Or, further, say a 2 battle rated general with 6 CUs attacks a 3 BR general with 3 CUs. That would be a 2 card advantage for the attacker plus attacking first or 16% + 4% = 20% added to a 50% base equals a 70% chance of winning. Brandon Einhorn also says the attacker should win 70 percent of the time. (Again, see below). Or say a 2 BR general with 8 CU attacks a 4 BR general (not Hannibal) with 3 CUs, which produces a 3 card advantage or 24% plus the 4% advantage for attacking first or a 78% winning advantage. However, Einhorn says there is really only a 65 percent chance of victory for the attacker. I guess that’s why it’s call a rule of thumb system. But, even as it is, it’s still handy in the heat of battle. It does, though, tend to break down at the margins, such as when lopsided positions are involved or when very low card totals are involved, as one side or the other could simply hit an empty position on his first try or, as in this case, when one general is better in combat than the other. In fact the advantage of having a battle rating (BR) greater than your opponent distorts the system to such an extent that, for those willing to do a little extra math, I’d give another 4% for having an Battle Rating one greater than your opponent, an extra 12% in total to a general having a BR two greater than his opponent and an extra 20% in total for having a BR 3 greater than an opponent. With that caveat the above calculation becomes not 78% chance of the attacker winning, but 66%. This chart simply provides players with a general overview of some battlefield situations. Due to space limitations it is far from a complete listing of every combination of Attacker’s Battle Rating, the Defender’s Battle Rating, the effect of attacking first and the number of cards each player may possess. The percentages produced are the chances of the attacking player winning these particular battles, as calculated by both systems within the parameters listed. * Any result over 95% just means it’s so lopsided a battle that you are unlikely to need math to arrive at the results. * = Any result over 95% just means it’s so lopsided a battle that you are unlikely to need math to arrive at the results. As a side note, it’s also important to check the total number of generals in play and where they are concentrated, as it usually takes less effort to accomplish something of value in a region where one side has more field armies then the other. It’s also helpful to check their strategic ratings, as this is a measure of how easily they will respond to the changing circumstances generated by multi-general operations. Certainly, players would also be wise to review which cards are still in play this time through the deck. That is, how many revolt cards have already been played from the deck. And in particular, by whether or not the Messenger Intercept card will come into effect. As one of the critical factors in judging when to act will undoubtedly be who plays last in a turn and how many uncontested cards will he then play. – Attacking first is worth 4%. – Each card that a player has in excess of the opponent’s hand size is worth 8%. * General’s Battle Rating 1 better than opposing general = 4%. * General’s Battle Rating 2 better than opposing general = 12%. * General’s Battle rating 3 better than opposing general = 20%. – Hannibal is worth an extra 8%. Subtract Defender’s total from Attacker’s Total and add base figure of 50%.